Mingmin Zhao and MIT colleagues have developed a device that detects emotions remotely, emitting wireless signals to measure heartbeat and breathing. 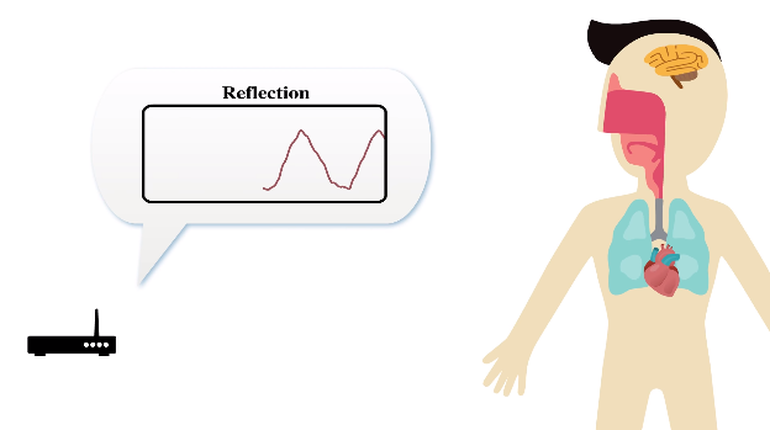 EQ-Radio detects whether a person is excited, happy, angry or sad without wearable sensors or using face recognition technology. Radio signals are reflected off a person’s body, and back to the device. Algorithms detect individual heartbeats from radio echoes with an accuracy comparable to wearable ECG monitors. This could be a breakthrough in the detection and monitoring of mental health issues, eliminating the need for uncomfortable chest bands and other gear. 30 subjects tested the EQ Radio while listening to music, looking at photos, or watching videos that triggered emotions. They sat one meter away from the device. The system collected 130,000 heartbeats, and examined differences in length that indicated happiness, sadness, excitement, anger, and neutrality. It accurately determined state of mind 72.3 percent of the time.